Love the sentiment on the vellum panel! Cute card Jen! Let's hope the lights and power stay on and you can craft as much as you want! Love the colours and design of this card. This is really cute! 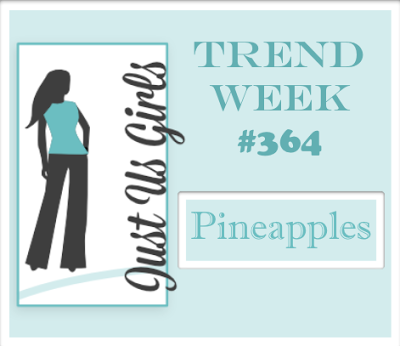 Love that pineapple and sentiment against that awesome background cover up die. Thanks for playing along with us at JUGS! Fantastic card Jen! Love that background too! So glad you played along at JUGS this week! Good luck with your weather! 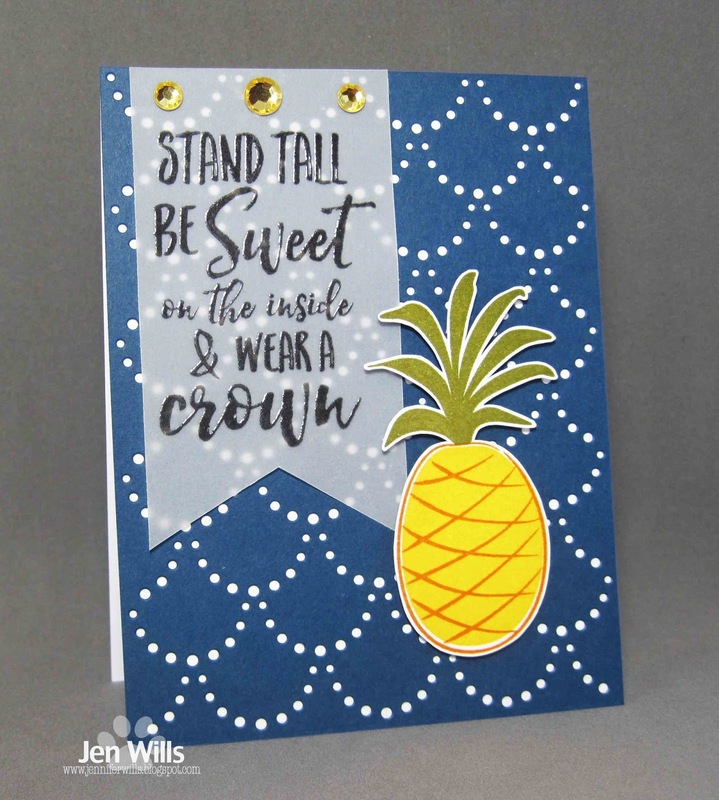 Great design layout with your pineapple and sentiment on vellum, Jen. The cover plate in blue is a fantastic background for them. Your card front appears to have mimicked your stormy seas, Jen! But in a very beautiful way!!! Lovely colors! hope you are hunkered down! Love the card. Keeping you in my thoughts and hope you stay safe. This is such a striking card. Love that sentiment, and the pineapple does look wonderful against that blue background. Glad to hear that you are OK, after all that terrible weather. Prayers for you and those around you today! Love the pineapple and the design of your background!